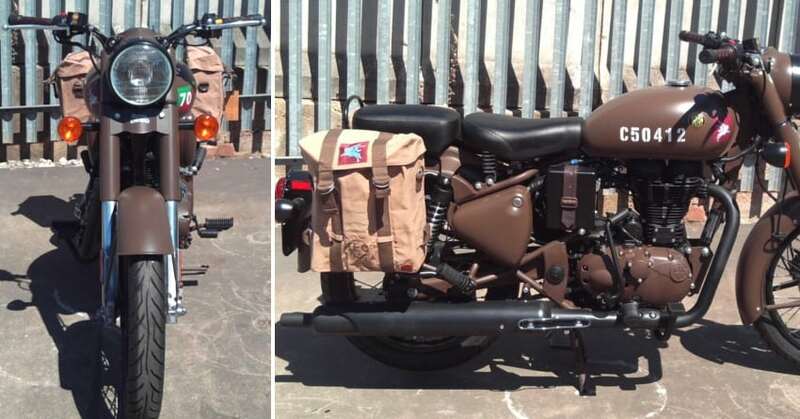 Royal Enfield Classic Pegasus Edition is still in the center of controversy, with owners planning to donate the bikes to the local municipal corporation for the collection of garbage. The Pegasus owners are frustrated with the launch of Classic 350 Signals, which according to them carries the identical design and highlighting pattern, ruining their overall limited edition experience that they had for a few days with their Pegasus Edition. 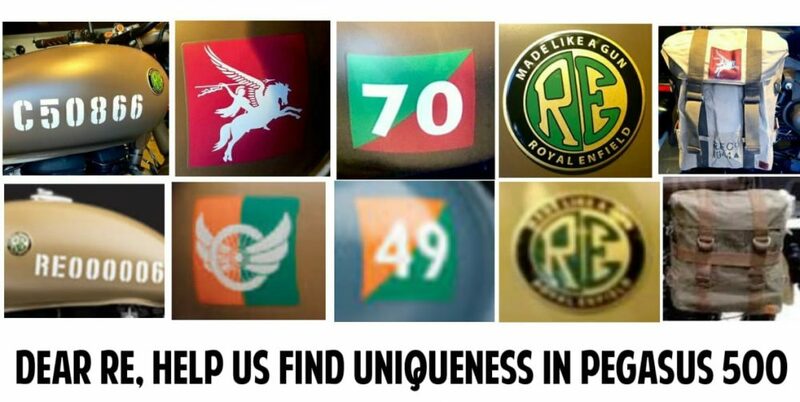 Numbers stenciled on Signals and the use of a flag are similar to those seen on the Pegasus Edition motorcycle, limited to 250 units for India and 1000 units worldwide. 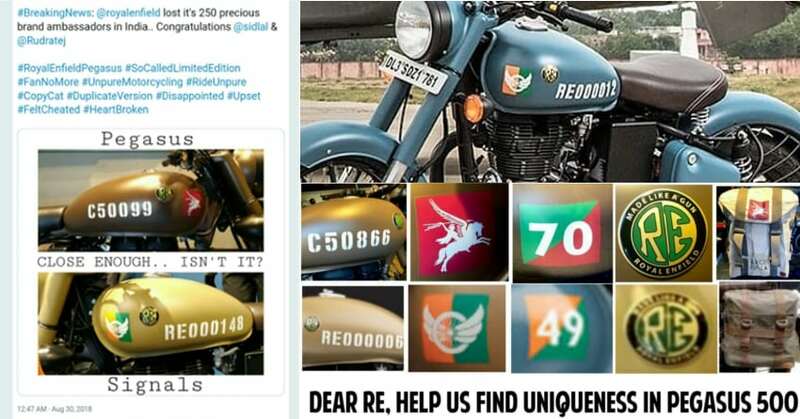 Classic 350 Signals also use the same engine paint pattern and two unique shades, leaving buyers of Pegasus Edition in a state of confusion by spending INR 2.16 lakh on the bike. Many of them may not have even dreamed of a 499cc engine but, went for it to claim the exclusive tag from Royal Enfield. Now, they feel getting Pegasus was a mistake as buying Signals would have given them the additional safety equipment ABS and saved them INR 54,000. A recent conversation with a Pegasus Edition owner clears the fact that Royal Enfield is not paying any attention to their point. 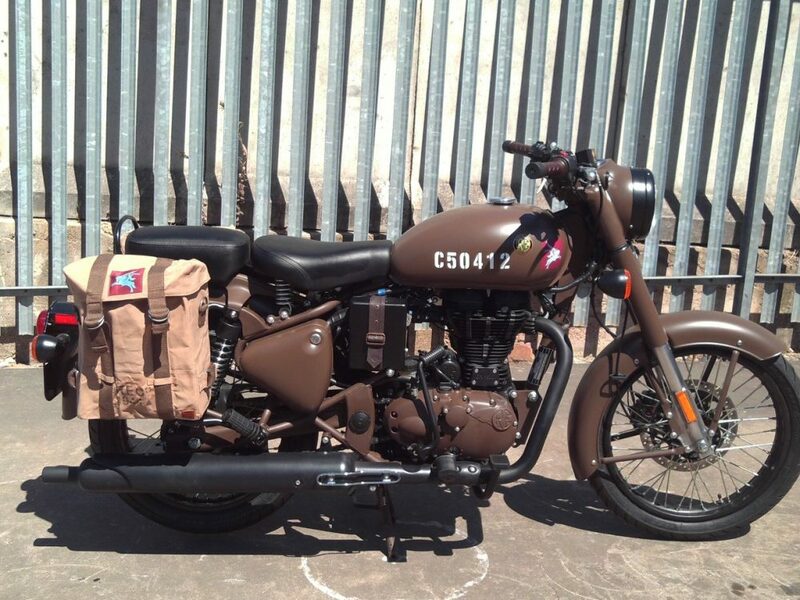 All of the 250 owners will donate their motorcycles to their respective local municipalities and participate in the Swachh Bharat Abhiyan through this limited edition Royal Enfield. They have asked the brand to remove the stenciled numbers and flag sticker from the fuel tank or else their decision won’t change at all. There was no mention of the addition of ABS to the Pegasus Edition in their conversation. 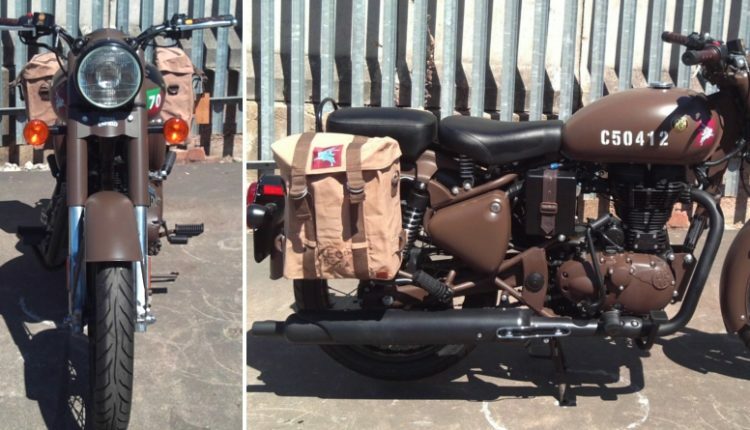 Classic 350 Signals is the first Royal Enfield bike to feature ABS in India while all products, including Classic 500, are made with ABS as a standard feature for other markets like the UK and US.